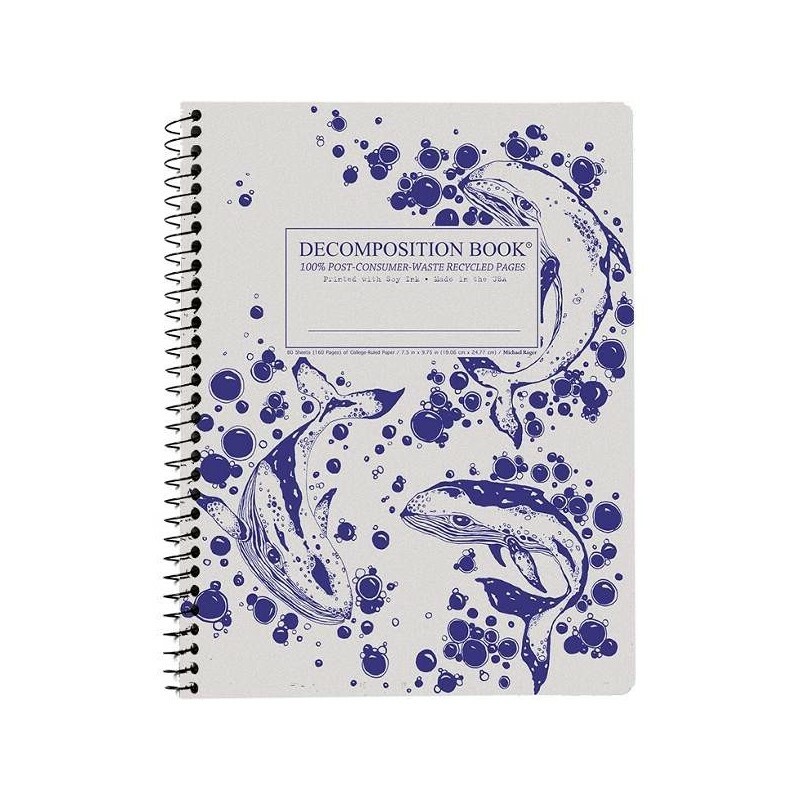 This Decomposition book is made with 100% post-consumer-waste recycled pages and printed with soy ink. Whales design features blue whales and bubbles on an unbleached natural background. Designed and printed in the USA using bio-gas by a small family business. 80 sheets (160 pages) of college-lined paper. 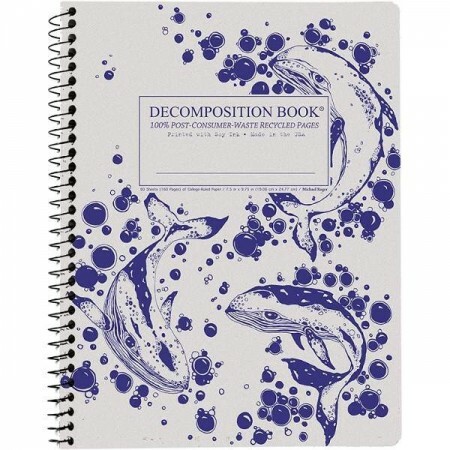 All Decomposition books are made from completely recycled materials. Small family run business in the USA. 160 college-ruled pages - 7mm ruled blue lines with adjacent margin in red. Spiral-bound spine with tear out pages. Covers are made from heavy card, with interesting and quirky sketches on the inside covers. Whales design features blue whales and bubbles on an unbleached natural background. 25cm x 19cm x 1cm / 100% post-consumer-waste recycled pages, soy ink, spiral binding. Beautiful design. The cover feels a lot like cardboard, but still strong. I love that it is 100% recycled. I'll never buy regular paper again!